Welcome to the new Thompson Historical Society website! We hope that you enjoy the re-design, and find it easy to navigate. New posts and website edits will be handled by Joseph Iamartino and his assistant (and future daughter-in-law) Summer Coraccio. If you need to contact us, you can email Joe at jiamartino@charter.net or message us through our Facebook page. 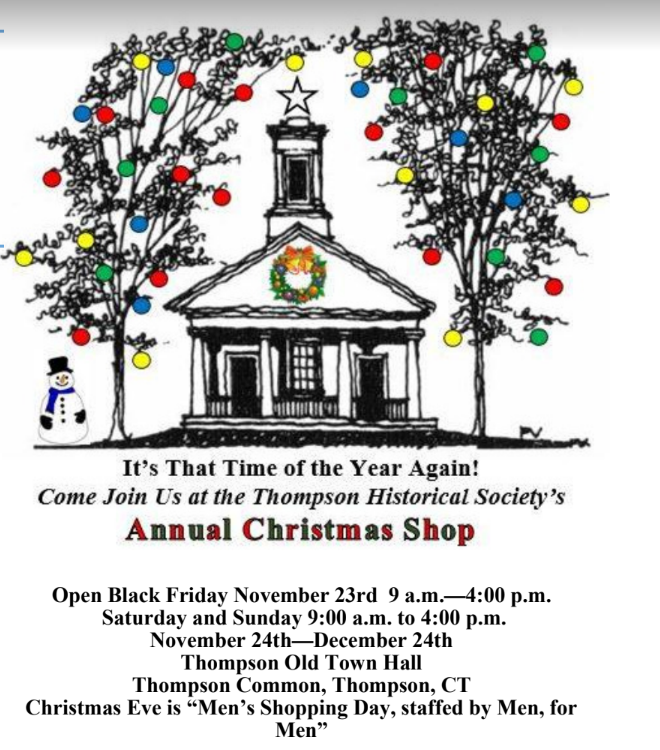 Our annual Christmas shop is opening on Black Friday (November 23rd!) Check our museum shop page for information and hours. There will be lots of fun and unique gifts for your friends and family – including 3 historic Thompson Speedway posters!